Fans of the God of War game that have been holding out hope that new DLC for the game will land, you are out of luck. Game director Cory Barlog has tweeted that no DLC is coming for the game. That will sadden fans and is curious. God of War was a hit, and typically when a game is popular and fans want more, developers give them more. That won’t happen this time out. Barlog tweeted the confirmation of no DLC coming for the game after he tweeted something that made some fans think new content was coming. Barlog was about details being revealed on the God of War anniversary celebration this week. So far content that has been revealed include a free dynamic theme and avatar set reports Gamespot. 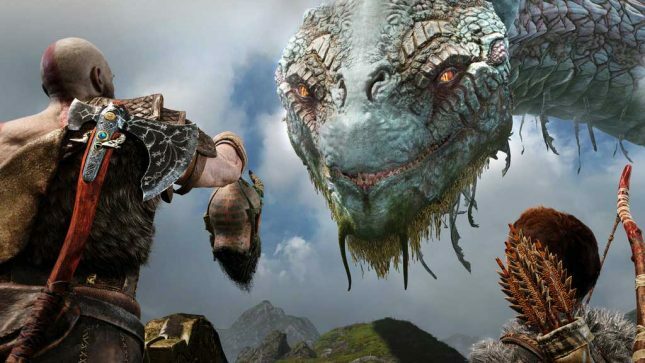 Barlog has said in the past that he had pitched an idea for God of War DLC, but the idea was scrapped. The reason the idea was scrapped was that it was called too ambitious. He said that the DLC would have been more like a stand-alone game. Maybe we will see it as a game eventually.